The U.S. Bureau of Labor Statistics on Friday released new data on the U.S. labor market during the month of June. Kate Bahn and Austin Clemens put together five graphs highlighting important trends in the data. Peter Ganong and Pascal Noel studied the outcomes for distressed mortgage borrowers of reducing principle owed or monthly payments. Using regression discontinuity and difference-in-difference designs to measure default rates and consumption, they find that reducing principle owed had no effect on default or consumption rates, whereas reducing monthly payments had widespread positive effects on default rates. This suggests that access to financial liquidity plays a larger role in borrowers’ financial decision-making than total debt or net wealth. A new study published by the Institute for Research on Labor and Employment at the University of California, Berkeley explains the effects of gradually increasing the minimum wage to $15 as displayed by many urban cities across the United States. The authors, economists and Equitable Growth grantees Sylvia Allegretto, Anna Godoey, Carl Nadler, and Michael Reich, find that a 10 percent increase in the minimum wage results in an earnings increase of 1.3 percent to 2.5 percent among low-wage jobs. 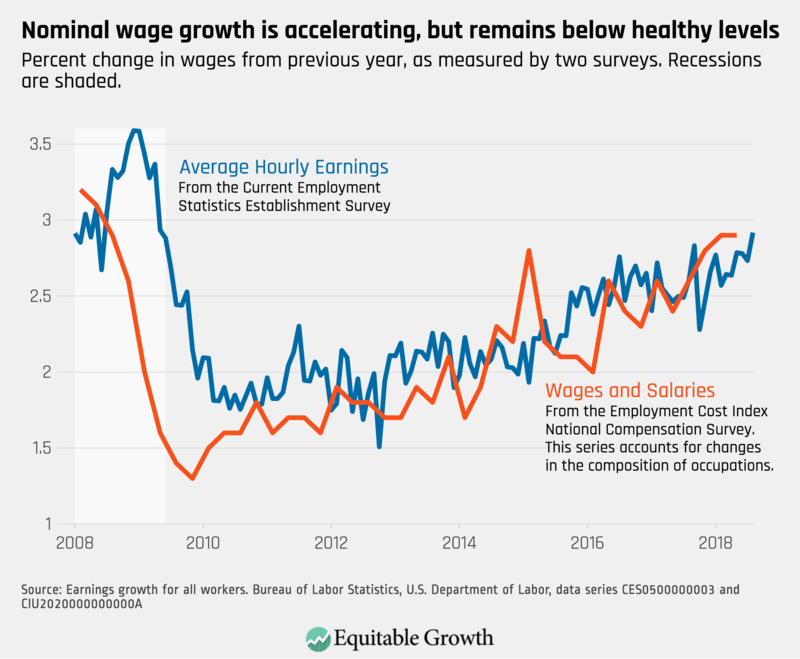 In addition, the 10 percent increase has an ambiguous effect on employment, ranging between a 0.3 percent decrease to a 1.1 percent increase in employment. Here is a summary of the study and related Equitable Growth research on the topic of minimum wage.